There’s nothing like watching a great team in action. Like many sports fans across North America, I was transfixed by the 2015 NBA finals matchup between the Cleveland Cavaliers and the Golden State Warriors. It was a great series, and Cavaliers star LeBron James almost willed his injury-ridden team to victory in the best-of-seven series. But in the end, the Golden State Warriors were the better team and won the championship. And it was a team victory – each player stepped up and contributed – especially when Warriors star Stephen Curry struggled during some of the games. It was a total team effort. After witnessing such team greatness, sometimes we wonder why our teams at work can’t function that well. The answer is they can, if we take a strengths-based approach to building and deploying our teams. How do you go about creating a strengths-based team? The first task is to decide what kind of a team you are: independent or interdependent? Independent teams function a lot like a golf team. Each member of the team goes out, shoots his or her own individual round of golf, then comes back to add his or her score to the scores of the rest of the team. If I’m on the golf team, the success of the team depends on my independent contribution added to the independent contributions of the other members. I am not really relying on interacting with another team member in order to do my best work. It’s pretty much up to me alone. The members of an interdependent team, on the other hand, are more like a basketball team or a soccer team: each team member is dependent on the other members knowing where to be, what the plays are, the time on the clock, etc. My success as a member of such a team depends very much on my interactions with and dependence upon the cohesive way we perform our tasks. So what kind of team are you? What kind of team do you need to be? Great teams know who they are. Once you determine what kind of team you are, then you must make the conscious decision to be a strengths-based team. Being strengths-based is not just a sing kumbaya and have a group hug feel-good movement. Strengths is a business strategy. People who use their strengths every day are six times more likely to be engaged on the job. Teams that focus on strengths every day have 12.5% greater productivity. And teams that receive strengths feedback have 8.9% greater profitability. A strengths-based team is a group of imperfect but talented contributors who are valued for their strengths and who need one another to realize individual and team excellence. The goal of a strengths-based team is to maximize the strengths of each individual on the team so as to make their weaknesses irrelevant. Strengths-based teams focus on what each person does best. As a member of the team, I know that there are some things others do better than I do, and there are some things I do better than others. We set each other up for success by letting each team member find his or her own natural path of least resistance in achieving the outcomes of his or her assignments, and the cumulative effect is the success of the team’s goals. How do you begin to identify the strengths of the members of your team, finding out what they do best? One of the most effective tools is the Clifton StrengthsFinder©, an online assessment that identifies talent in 34 themes. When you take the Clifton StrengthsFinder, you receive a report with your Top Five Signature Themes of Talent, the most natural ways you think, feel and behave (for more information, go to www.gallupstrengthscenter.com). Yearning: To what kinds of activities are you naturally drawn? Rapid Learning: What kinds of activities do you seem to pick up quickly? Flow: In what activities do you seem to automatically know the steps to be taken? Glimpses of Excellence: During what activities have you had moments of subconscious excellence when you wonder how you did that? Satisfaction: What activities give you a kick, either while doing them or immediately after finishing them, and you wonder when you can do them again? Strengths-based teams assign tasks and job responsibilities differently than do other teams. In most teams, the main qualification of who takes on a task is who’s got capacity or who raises their hand. Strengths are not taken into account. Strengths-based teams, however, make assignments based on who is best suited for the task from a strengths perspective. Now you might say, “We are short-staffed! Everybody has to do a little (or a lot) of everything! We don’t have the luxury of letting people do what they do best!” I would reply that in today’s world, where everyone seems to need to do more with less, you don’t have the luxury not to take a strengths-based approach. Let me illustrate. I was consulting with a group of nursing unit supervisors in a large university healthcare system. The supervisors were discussing the challenges to nursing in today’s healthcare environment. One supervisor told the group that her staff had been cut by two full-time employees and another was out on maternity leave, leaving them three staff members short with no plans to replace them – and their workload expectations were not reduced. She said her staff’s stress level was rising and their morale was low. Sound familiar? Here was her solution: she evaluated her staff, looking closely at what each member did best, and then realigned job responsibilities according to the strengths of the members of her team. She reported that morale went up, their energy level climbed and, more importantly, they got the same amount of work done as they had before they lost the three staff members! Strengths-based teams are more productive and more efficient, and members of these teams are more engaged and report a much higher quality of life. Begin to put a strengths-based approach to work for you and your team today – and begin to experience the difference. 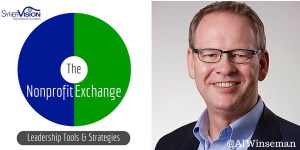 Did you miss Al’s SynerVision Leadership Nonprofit Exchange podcast? 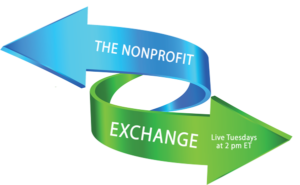 See The Nonprofit Exchange to avoid missing future live sessions. This article is reprinted from Issue #5 of Nonprofit Performance Magazine. Subscribe today!